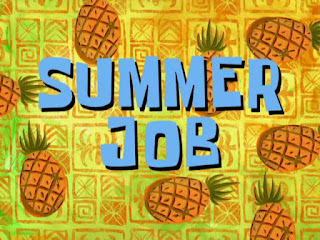 With summer jobs being posted and resumes being sent out, students are starting to think about how they will prepare for an interview. Interviews are an important step in the hiring process; they can make or break your chances of landing that job. We have a lot of resources at the Career Resource Centre to help students prepare and be successful. Some of these include our Interview Handout, our Interview Techniques Binder, our Mock Interview service and print resources such as Interview Magic, Job Interview Phrase Book, and Knock’em Dead Job Interviews. As a student you can take full advantage of these resources by coming in to see us at the Career Resource Centre! One of our newest and most exciting resources we have to offer to students looking for interview help is Interview Stream. Interview Stream is a web-based, video practice tool that records you while answering up to 10 questions. It allows you to practice verbal and non-verbal communication skills and evaluates you on how well you did. Interview Stream has over 7000 interview questions that you can choose from (or set it to random to be totally surprised!). As a student you can access Interview Stream through CareerZone by going to Student> Log In> Career Services> Online Resource Centre> Interviews> Interview Stream. Preparing for a job interview will ease your nerves and make it easier to show them your best. Know exactly what the position is and a little bit about the company and the services they offer. In addition to this, know yourself. Know what your goals are and know why you are applying for this position. Ensure you know the time, place, date, and dress code for your interview so you are prepared and well on time. We hope to see you at the Career Resource Centre if you have an upcoming interview! On-Campus Jobs for Next Fall - Start Looking Now!